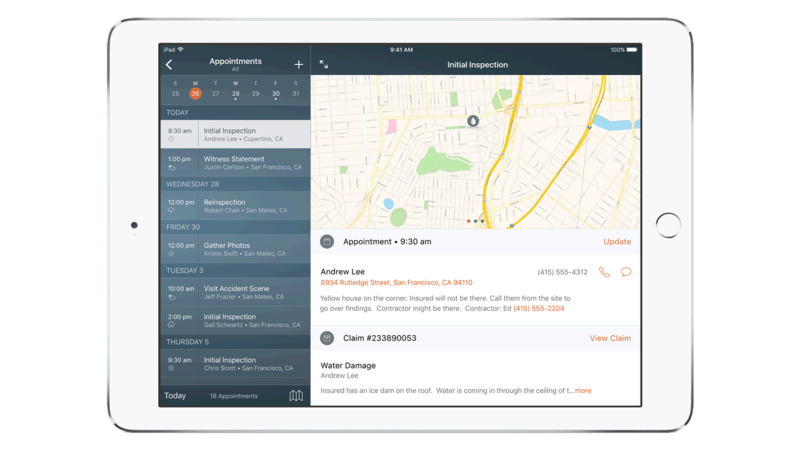 Provide claims adjusters the ability to manage, document, follow-up on and close claims anytime, anywhere while doing it fast. Reduce the time needed to prioritize claims by type, filter by open claims. Enable claims adjusters to search for claims, view photos, and communicate with clients in real-time. Improve processing turnaround and payment times while reducing the high administrative cost for traditional claims adjudication. Provide a better tool to deal with incomplete claim submissions that can also reduce your exposure to fraudulent claims. Increase customer satisfaction rates by reducing the chances that claims submission are incorrectly or inefficiently filed. Use predictive analytics to drive fraud prevention alerts and notifications through evaluation of claimant and claim data profiled against real-time industry claims data. Real-time analytics can leverage “claims like these” recommendations based on other claims that match the profile of the current claim. Leverage real-time API calls for weather, maps, and other public data sources about claim location. Enables insurance agents to quote & bind clients fast and easy.